CINCINNATI -- With about six months to go before its completion, the Martin Luther King interchange on Interstate 71 already has disappointed the communities it was designed to serve. Of the 89 people that prime contractor Kokosing Construction employs, only four are from the Uptown neighborhoods that surround the interchange. 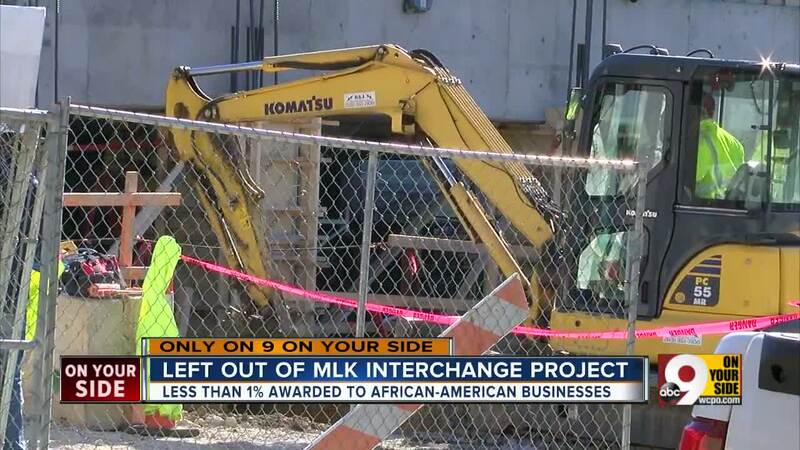 And black-owned businesses won contracts worth less than $500,000 on the $80 million project. That's roughly half of 1 percent of contract dollars. "I can't cuss, so I'll say it's absolutely ridiculous," said Ozie Davis, an Avondale resident and community activist. "There obviously was not intentionality around finding African-American contractors because there is no dearth of African-American contractors that could have participated." The Ohio Department of Transportation wanted those numbers to be higher, too, said Matt Bruning, a spokesman for the department. But ODOT can't steer more contracts to black-owned businesses without a special waiver from the U.S. Department of Transportation, he said. "It's frustrating," Bruning said. "We want everybody to have the opportunity to succeed in the state of Ohio." That's what a federal program for so-called disadvantaged business enterprises, or DBEs, is supposed to do: Open up opportunities for small business owners who aren't rich, powerful and connected, which in turn should help them create jobs. That's especially important in Avondale and Mount Auburn, two communities near the interchange with unemployment rates higher than the city as a whole. But a 2016 study found that DBE companies owned by blacks and Hispanics have been getting less than their fair share of state highway contracts in Ohio. ODOT Director Jerry Wray asked the Federal Highway Administration last April for permission to change the department's contracting practices so they could take a business owner's race into consideration when contracts get awarded. ODOT still is waiting for a response. Meanwhile black business owners like Chris Packer grow more frustrated. "They've been trying to get things turned around. But to turn around a big tanker ship, it's going to take years," Packer said. 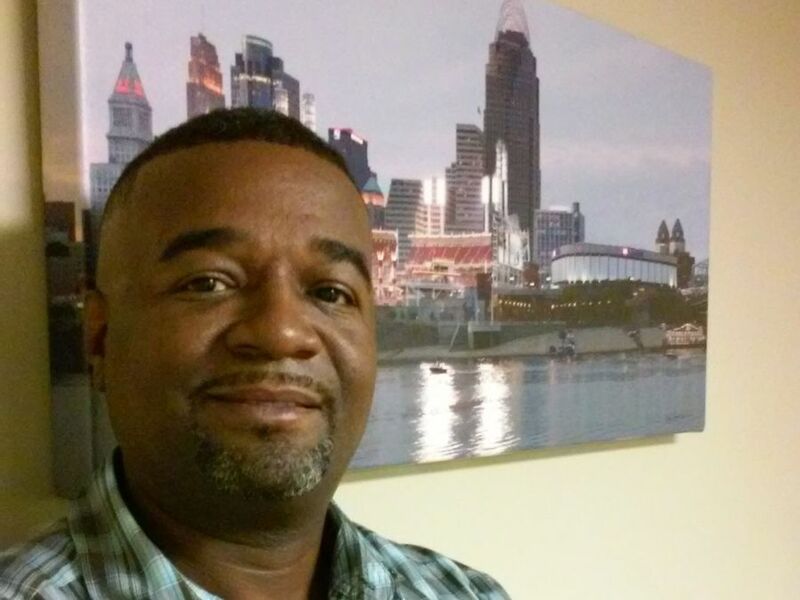 He's president of Rod-Techs, Inc. , a reinforcing steel company based in North College Hill that submitted an unsuccessful bid for the Martin Luther King interchange project. "The problem with that is that businesses like mine, we don't have years for people to get it together," he said. "We kind of need some work now." Still, Davis finds hope in the opportunities ahead for black business owners and residents when developers begin to build on the acres of land made more accessible by the interchange project. The new Martin Luther King interchange has been decades in the making. It was part of the original plan for I-71 but was eliminated during construction to reduce the budget. As a 2012 study by the University of Cincinnati's Economics Center explained, that decision has left Uptown's neighborhoods without a full interchange from I-71 since the early 1970s. In that time, Uptown has grown to become the region's second-largest employment center after Downtown, and the lack of direct interstate access has stifled even more growth. The new interchange is expected to change all that. The 2012 study found that the project area had 120 acres of vacant or underutilized residential property and at least 550 acres of vacant or underutilized property that isn't residential. Construction of the Martin Luther King interchange with Walnut Hills in the background. The Uptown Consortium -- a nonprofit development organization formed by some of the area's biggest employers -- has been buying up that property so it can control the development. That control means the organization can work to ensure that black-owned businesses and neighborhood residents benefit from the new development that takes shape, said Uptown Consortium CEO Beth Robinson. "This is where we live. This is where we invest in. And really our goal is to see that we all rise together," Robinson said. "So we do put energy into making that happen." The Uptown neighborhoods of Avondale and Mount Auburn, in particular, have unemployment rates that are considerably higher than the city's as a whole, she noted. The goal is to help create jobs to change those numbers and improve people's lives. "As we look into the future, there's a greater opportunity for African-American participation in the billion dollars worth of potential development that will happen at Martin Luther King and I-71," Davis said. "And that's my focus." While Uptown Consortium couldn't do much to help black-owned firms get work on the interchange construction project itself, the organization did hire consulting firm WEB Ventures LLC , which helped those four Uptown residents get work on the project. WEB Ventures has been working for Uptown Consortium since 2014 to help coordinate development and ensure that minority-owned businesses and local residents benefit from it, said Bill Witten, one of WEB Ventures' owners. Witten was at a meeting about the interchange construction a couple years ago and asked what kind of opportunities young people from Walnut Hills, Avondale and the other Uptown neighborhoods would have to work on the project. He met with a Kokosing Construction superintendent who guaranteed six apprenticeship spots on the project if local unions could provide qualified candidates. A construction worker at the Martin Luther King interchange project. WEB Ventures then worked with the local unions and various workforce development organizations to make sure residents could get the training they needed to be ready for the jobs. 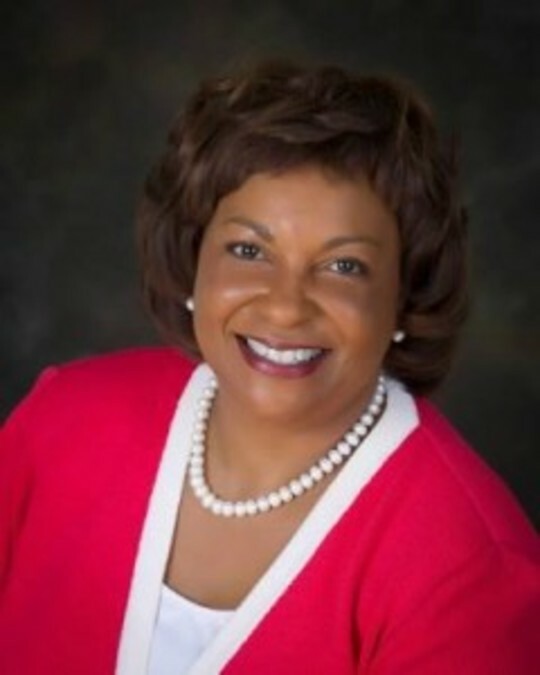 The Urban League of Greater Southwestern Ohio trained dozens of men and women and referred many of them to the construction trades so they could be considered for jobs on the Martin Luther King interchange and other construction projects in the future, said Donna Jones Baker, the Urban League's CEO. Of Kokosing's six guaranteed spots, four went to residents of Uptown neighborhoods. "It's extremely competitive to get somebody full-time on a job," Baker said. 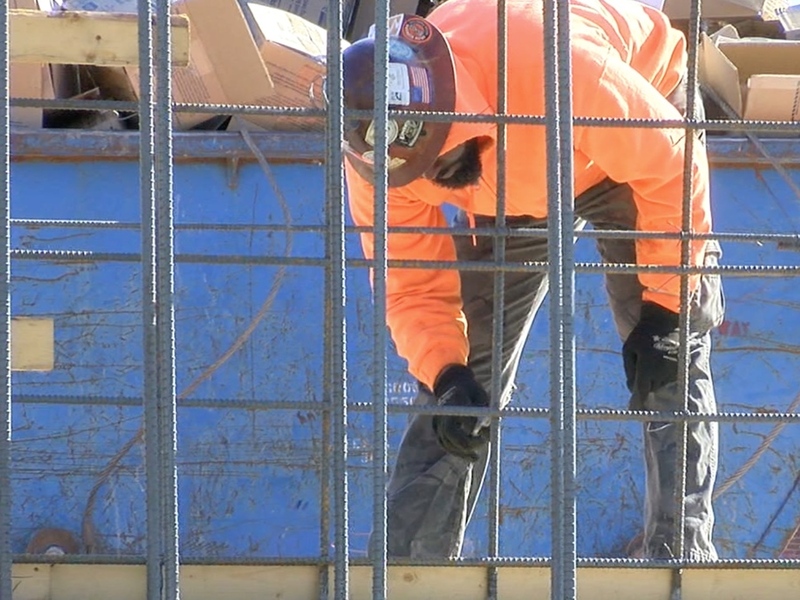 "We're excited about the fact that there are four individuals that are now in apprenticeship programs and connected with the unions so they can get the training they need to get long-term employment." Kokosing has 15 Cincinnati residents total on the Martin Luther King interchange job, according to figures that ODOT provided to WCPO. Of the 89 total Kokosing employees, 17 are black men and three are women. Baker said she would have loved to see more local people get opportunities on the job. But Witten said the community should view those six guaranteed apprenticeship spots as a victory. "Normally it's zero," he said. "I'll take six over zero any day." ODOT also has helped fund workforce programs through the Urban League and with other organizations that provide commercial driver's license, or CDL, training. The department is taking steps to help more black-owned subcontractors get work on big highway projects, too. • Its DBE Supportive Services program provides one-on-one consulting for business owners and reimbursement for training related to financial services, software licenses and other expenses. • A DBE Capacity Building program is scheduled to begin during the state's 2018 fiscal year and will give selected DBEs hands-on training with prime contractors and consultants that can help the companies become stronger candidates for contracts. • And ODOT hosts orientation sessions each quarter to give DBE firms more information about how to bid and how to get pre-qualified for big highway jobs. Packer has taken part in ODOT programs in the past. But he doubts they can make much difference without bigger changes in the DBE program itself and the way companies are certified. As it stands, a woman or minority can own 51 percent of a company -- with a white male owning the other 49 percent -- and the company can be considered woman- or minority-owned. Packer argues that's a problem in cases where a white man actually is running the company, providing the financial resources and tapping into connections developed over years before partnering with the woman or minority who is technically the primary owner. DBEs also vary in size. Some have revenues of just a few million dollars a year while others do tens of millions of dollars in business annually. That's important because companies with more revenue can bid on bigger projects. When those companies keep winning contract after contract, it helps them grow larger and makes it more difficult for smaller companies to compete on price. "It's doing a disservice to the real, legitimate minority businesses because we're competing with a big company," Packer said. "And it's doing a disservice to real women-owned businesses that are out here 100 percent owned and having to struggle." Officials with ODOT say they're doing what they can to improve results while they wait for the U.S. Secretary of Transportation to decide on a waiver. Here in Greater Cincinnati, the next opportunity to see results will be the latest phase of the Interstate 75 Thru the Valley project. Phase 5 of the project will reconstruct southbound I-75 from Shepherd Lane to Galbraith Road, adding a fourth lane. It also will include building a road for ramps to and from Anthony Wayne Avenue and Galbraith Road. That phase is expected to cost about $93 million, and ODOT has set a 13 percent DBE goal for the project. That's purposely higher than the goal for the Martin Luther King Interchange. Bruning said the department is confident there are enough qualified DBE companies to do the work. Packer said he bid on the project -- and will continue to bid on ODOT jobs -- even though he has little hope that Rod-Techs will win a contract. "If I quit and take my cookies and go home," he said, "That's an automatic excuse for them to say he didn't even bid on the jobs." Work continues on the Martin Luther King interchange project. Lucy May writes about the people, places and issues that define our region – to celebrate what makes the Tri-State great and shine a spotlight on issues we need to address. She has been writing about women- and minority-owned businesses in Greater Cincinnati for nearly 20 years. To read more stories by Lucy, go to www.wcpo.com/may . To reach her, email lucy.may@wcpo.com . Follow her on Twitter @LucyMayCincy.